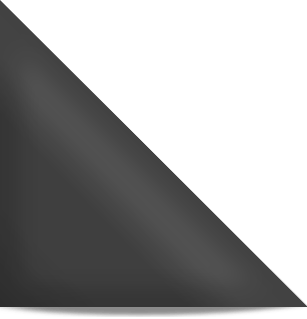 ﻿ Hardwood Stair Balusters | Scotia Stairs Ltd.
Our hardwood balusters for stairs include the most sought after profiles for your stairs. 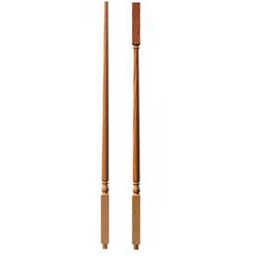 The Hampton balusters collection offer a ‘classic look of the colonial period’. 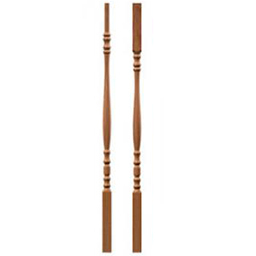 The Traditional balusters collection offers a ‘simple candle stick tapered look’. Both turned baluster profiles add timeless beauty and style to any staircase. We also carry a line of full square balusters for that craftsman look, as this simple non-busy look is always in style. 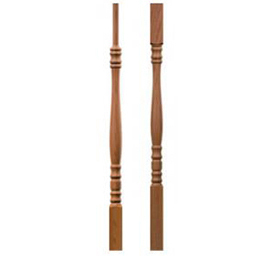 We stock hardwood balusters in many wood species: oak, birch, maple, and pre-finished white balusters. 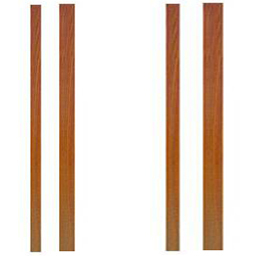 We stock 1-1/4 inch and 1-3/4 inch hardwood balusters. We also have access to many special order profile hardwood stair balusters and we can get exotic wood types: jatoba, walnut, white oak, hickory, knotty pine, etc. All our in stock stair balusters are offered in taper top and we also have many of the same balusters in its square top version but only in limited quantities. Keep in mind: When ordering square balusters we need to add plough and fillets to the hand rail.